Today Sunday 5th August was the final day of the European Championships at Castellanza and Italy accomplished the double – European champion both in men and women categories. But first things first. The semi-finales were played this morning. 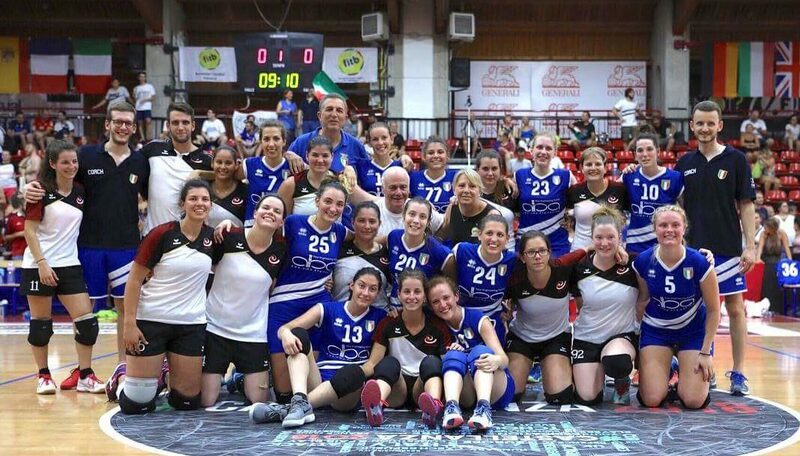 In close games, the Italian women qualified against the UK women for the finals, the Swiss women against the Austrian. In the men’s competition the Italian won their semi-final against Switzerland, while Austria won over Germany. The men’s competition then continued with the final 3rd place, which was won by the Swiss against the Germans, while Italy won their final over Austria. In the women’s competition the games were very close. In the final 3rd place, Austria secured the win by 3 points against the UK, while in the women’s final between Italy and Switzerland the game finished with a draw after regular time. In the end, after 5 minutes extra time, the Italian women won the game by 2 points. La compétition homme s’est ensuite poursuivi avec la petite finale, remportée par les Suisses face aux Allemands, alors que la finale à vue l’Italie remporté le titre face à l’Autriche. Chez les femmes, les matchs étaient très serrés. Dans la petite finale les Autrichiennes ont battus les anglaises de 3 points alors que la finale femme entre l’Italie et la Suisse se terminait par un match nul au terme du temps réglementaire de jeu. Finalement c’est les Italiennes qui ont remporté le match de 2 points au terme de 5 minutes de prolongations. All the game results and final rankings are available on this page. The Tchoukball Geneva Indoors congratulates all teams who participated to the European Championship for their sportive performance.